Apple’s latest mobile operating system plan is on iOS 12.1.1 which is considered a firmware bringing a number of under the hood improvements. Rather than bringing brand new features, this minor update focuses more about fixing various things that have been reported with the previous versions. So if you like to take the experience on, here is about Download iOS 12.1.1 through the latest testing versions. Let us find out what important updates it brings over the previous iOS 12.1. Roughly about a week back from the date of iOS 12.1.1 latest beta, Apple came with the previous beta 2. So it seems Apple is following a nice pattern of beta updates with a plan of iOS 12.1.1 release sooner than later. 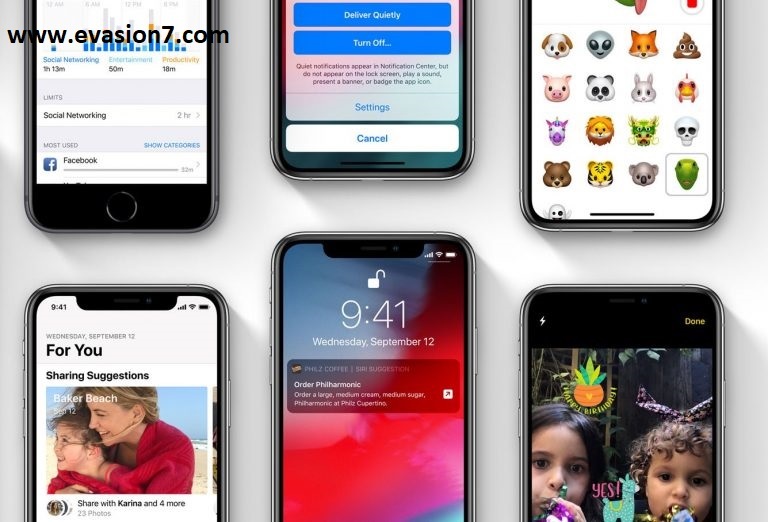 With that in mind, we now see iOS 12.1.1 Download rights through the latest beta 3 in targeting all 64-bit iPhone, iPad, and iPod Touch devices. But to take the rights of testing versions, you need to be signed with the Apple official beta testing program either with a paid developer membership or a free testing membership. What would you get with the latest iOS 12.1.1? As of the beta versions so far updated, iOS 12.1.1 is considered a minor scale update to the mobile operating system of Apple for improved system experience. And with firmware iOS 12.1.1, Apple is focusing on bringing FaceTime updates including an improved camera switching User interface. So with Group FaceTime and so much more improvements, you can get the best FaceTime experience here on. And also, iOS 12.1.1 brings back the ability to take Live Photos while in a FaceTime call which was missing in the previous versions. In that concern, the update here looks interesting and useful to have. And once Apple informed to the public, you can continue through either iTunes or over the air usual way. And as always, it will be free on all 64-bit devices. Will you upgrade or remain on iOS 12.1 Jailbreak possibilities? As to the latest Pwn20wn contest recently held in Tokyo, we have revealed the powerful Safari based 0-day exploit on iOS 12.1. With this, we will probably get to know the exploit publicly once Apple turned in the next update by covering the vulnerabilities found. So this is a big chance for one to get benefited a new iOS jailbreak. If you think the chance on iOS 12.1 Jailbreak, upgrading iOS 12.1.1 is not recommended here. So take the decision and stay with us for more iOS, jailbreak and Cydia Download updates.